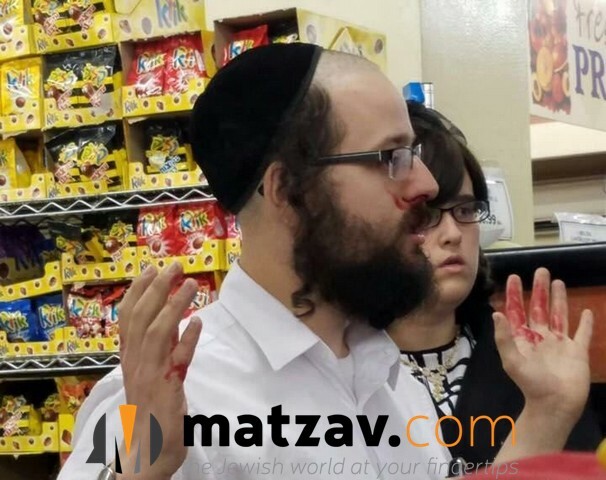 An innocent request at a Williamsburg supermarket before Shavuos turned into rowdy brawl. 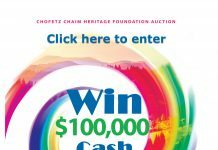 The incident took place at the Central Market Supermarket at the corner of Division Avenue and Wythe Avenue in Williamsburg, Brooklyn. Two of the frum store managers politely asked a girl to stop riding around the supermarket on a hoverboard, as she had knocked down cereal boxes and other products, wreaking havoc. The girl called her father, who arrived a few minutes later and began assaulting the store managers, yelling and cursing at them while punching them. The African-American man threatened to kill them. The managers were left bloodied and in shock. A short while later, NYPD officers from the 90th precinct arrived at the store. To the chagrin of those present, the officers arrested both managers, believing the girl’s father that they had thrown a peach at the girl. 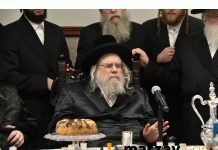 R’ Gershon Schlesinger, a noted askan in Williamsburg, told Matzav.com that as a result of the arrests, one the managers was detained at central booking for over 24 hours, barely making it home before the onset of the three-day Yom Tov. These guys don’t know how to fight back. If Donald Trump was president, this would have never happened. where are all the store workers ??? This guy is punching and screaming I am going to kill you at the two Jewish managers. And unbelievable that the NYPD had the nerve afterwards to falsely arrest and book the two Jewish managers overnight? This is shocking open 21’s century anti-Semitism from the NYPD!!! Before the recent NYPD scandal the 90 precinct police departments with Shomrim were able to work out a deal between both parties to encourage both sides to drop the charges, the new 90 sergeant does not want to cooperate with Jewish community. That man punching people in the video needs to be arrested ASAP! And then go to jail for murder…who will defend us then? We are jews…pawns in the eyes of the world….thats the fact. Why is the frum man without a yarmulke? Very strange. i didn’t watch the video.but quite frankly its none of your stinkin business whether somebody wears a yarmulke or not! i am astonished when people dont realize a world exists outside thier narrow viewpoints! Did it not dawn on you that the attacker may have knocked it off or it fell off during the attack? Seriously are you that thick?? Did they at least arrest the animal? the police that made that arrest should suffer a consequence…. how in the world does anyone perceive this as the managers fault????? I guess they are blind. ..
How did that guy get away with this assault? They should press charges. So the babies at Matzav are covering up for Bill Bratton. How mature of you. they usually get to the scene in less then a min. The arresting officers should immediately be reprimanded and relieved of their guns until a thorough investigation is completed to the satisfaction of the innocent store managers. They were assaulted twice that day. The first time, from the vicious beast who punched them in the face and taught his daughter his version of a life lesson on how to behave when someone tells her something she doesn’t want to hear — even when she is wrong. The second assault took place at the hands of the very officers whom we pay to serve and PROTECT us. I am ready to commit towards putting together a fund to go after all the assaulting perpetrators and have them punished to the full extent of the law!! TO EUROPEAN CHOSID: Obviously, the assaulter threw it away or stole it while they were in middle of fighting. I just heard a very biased report on this on 1010 WINS radio of the NYC area (approximately 6:45PM Thursday, today, in NY), by Juliet Pappa. Just for one example of how biased her report was, she stated that the black man ‘lunged’ at the store managers. As if he just lunged at them, and didn’t make any contact. While the video shows so clearly that he viciously punched them. The station and reporter should be held accountable for such an obviously incorrect report. Is this woman a regular shopper at this market or did she go there with the intention of causing trouble so there would be a lawsuit?